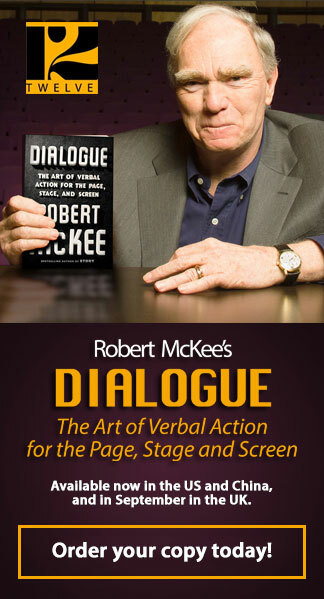 Robert McKee, A Fulbright Scholar, is the most sought after screenwriting lecturer around the globe. He has dedicated the last 30 years to educating and mentoring screenwriters, novelists, playwrights, poets, documentary makers, producers, and directors internationally. 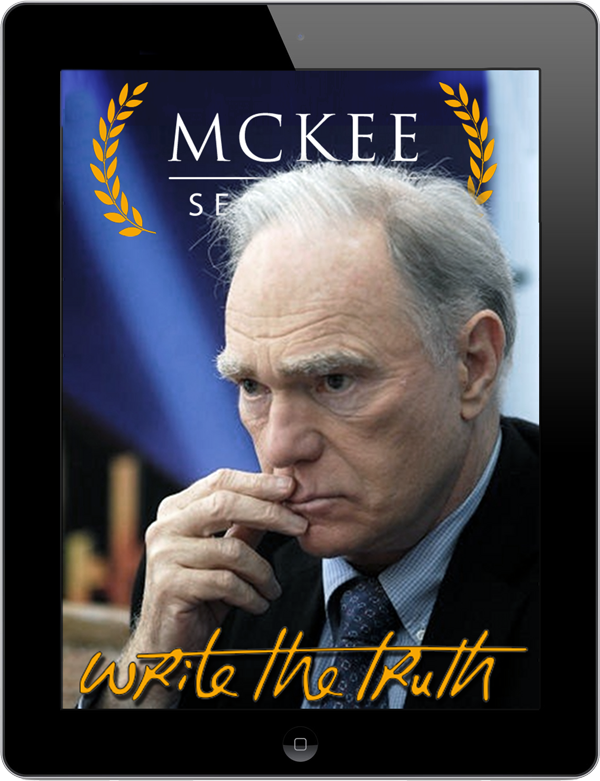 Those who have learned from McKee have called him “the Aristotle of our time” because of his insight into the substance, structure, style, and principles of the grand art of story. Peter Jackson (writer/director THE LORD OF THE RINGS Trilogy, THE HOBBIT) has lauded him as “The Guru of Gurus.” For the writers of Pixar (creators of TOY STORY 1, 2, & 3, FINDING NEMO), McKee’s STORY Seminar is a rite of passage. Emmy Award-Winner Brian Cox also portrayed McKee in the Oscar-nominated film ADAPTATION. McKee’s former students include over 60 Academy Award Winners, 200 Academy Award Nominees, 200 Emmy Award Winners, 1000 Emmy Award Nominees, 100 WGA (Writers Guild of America) Award Winners, 250 WGA Award Nominees, and 50 DGA (Directors Guild of America) Award Winners, 100 DGA Award Nominees. A winner and nominee of BAFTA for his popular Channel Four series REEL SECRETS, McKee also wrote and hosted 12 episodes of BBC’s FILMWORKS series.He was profiled by Bob Simon of 60 Minutes for CBS news. McKee’s articles on Story have also appeared in hundreds of newspapers and magazines around the world including Harvard Business Review, The Wall Street Journal, Vanity Fair, The New Yorker Magazine, Swiss Business Magazine, Sueddeutsche Zeitung, CBS Morning News, BBC, Channel 4 in UK, RAI (Italy), CBN Weekly News & Morning Glory (China), MBC TV, KBS & Arirang TV, Korea Times (South Korea), Kiev Weekly, Kultura Moscow, all major TV, Radio and/or newspapers of Argentina, Australia, Belgium, Brazil, Canada, Chile, Colombia, Germany, France, India, Israel, Mexico, New Zealand, Portugal, Russia, Turkey, Singapore, South Africa, Sweden, and Switzerland and given seminars in all of the above countries. Since 1984, more than 100,000 students have taken McKee’s courses at various cities around the world: Los Angeles, New York, London, Paris, Sydney, Toronto, Boston, San Francisco, Helsinki, Oslo, Munich, Tel Aviv, Auckland, Singapore, Madrid, Beijing, Shanghai, Barcelona, Lisbon, Malaga, Hamburg, Berlin, Johannesburg, Rome, Stockholm, São Paulo, Santiago, Buenos Aires, Bogota, Beijing, Brussels, Rio de Janeiro, Moscow, Seoul, Istanbul, Hyderabad, Mexico City and many cities regularly. Some notable writers, directors, and actors such as Peter Jackson, Jane Campion, Andrew Stanton, Geoffrey Rush, Paul Haggis, Akiva Goldsman, William Goldman, Joan Rivers, Meg Ryan, Rob Row, David Bowie, Kirk Douglas, John Cleese, Steve Pressfield, Russell Brand, and the writers of Pixar to name a few, have taken his seminar. McKee continues to be a project consultant to major film and television production companies such as 20th Century Fox, Disney, Paramount, & MTV. In addition, Pixar, ABC, BBC, Disney, Miramax, PBS, Nickelodeon, Paramount, GLOBOSAT, MNET and other international TV and Film companies regularly send their entire creative and writing staffs to his lectures. Characters are what they do. Story events impact the characters, and the characters impact events. Actions and reactions create revelation and insight, opening the door to a meaningful emotional experience for the audience. Story is what elevates a movie, transforming a good film into a great one. Movie-making is a collaborative endeavor — requiring great skill and talent by the entire cast, crew, and creative team — but the screenwriter is the only original artist on a film. Everyone else — the actors, directors, cameramen, production designers, editors, special effects wizards, and so on — are interpretive artists, trying to bring alive the world, the events, and the characters that the screenwriter has invented and created. Robert McKee’s STORY Seminar is a comprehensive, superbly organized exploration of all elements, from the basics to advanced concepts. It is a practical course, presenting new perspectives on the craft of storytelling, not just for the screenwriter but for the novelist, playwright, journalist, and non-fiction writers of all types. If you’re a writer and haven’t attended Robert McKee seminar, now is your chance to remedy that. Right now could be one of those defining moments for your professional writing career. Get mentored by the last standing great storytelling teacher of our time and give your passion a spine.